Craneballs, the creators of the overkill game has released a new Android game “Fling Fighters”. It is a fun, addictive and challenging game. In the game, you play as a Fling Fighter and the goal is to defeat the opponent. There are many ways to defeat the opponents in the PvP battle. 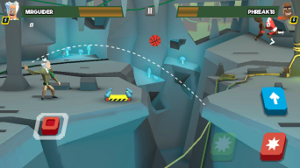 Push them in the danger area, traps, perform the combo attack, and much more. It features many game modes such as local-multiplayer, multiplayer, tournament, challenge, boss fights, and much more. Unlock all the Fling Fighters, upgrade them, collect cards, unlock new combos, and climb the leaderboards. The game starts with a tutorial in which you learn about the basic controls such as how to move the fighter, how to thrown weapons, use combos, how to jump, and more. Once the tutorial ends, you start the game by playing tournament. Win tournaments to conquer islands. Once you conquer all islands, you must defend them to win the season. 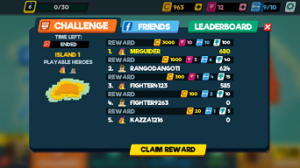 Challenges – To earn gold, diamond and much more. Defeat all the players in all rounds to rank first on the leaderboard. 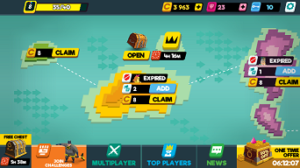 Multiplayer – Play against other players from all over the world. Fling Fighters features 40 playable characters. 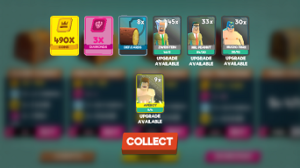 You unlock these characters by opening the chests. Each character has their own combo attacks. But you need to unlock it by upgrading them. How to upgrade or unlock the Fling Fighters? Win fights. Collect trophies(enemies drop experience). Improve your Fling Fighters by upgrading them. 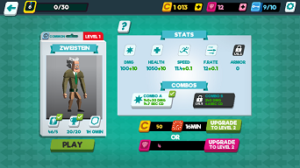 Level-Up your fighters and unlock new combos. In Fling Fighters game, there is a challenge mode in which you fight against other players from all over the world. Try your best, defeat all opponents in all rounds. You will be rewarded with coins, diamonds, experience drops(trophies), and keys. Claim your reward after the challenge duration ends. It is one of the best ways to loot treasure. Open chests to unlock new Fling Fighters, for keys, coins, cards, and much more. Go to the shop section, open the free chest. Conquer all islands to claim more chests. To get access to all of the features, you need to rank-up. Defeat the opponents in PvP battles, tournaments and earn Xps. Every time you rank-up, you will get the reward. 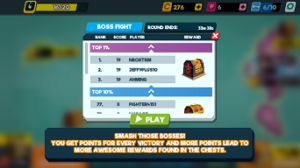 To get points, smash the bosses in boss fights. More points mean more awesome awards. However, it would not be easy to defeat these powerful bosses if you have low-level fighters. 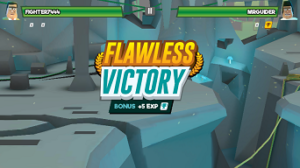 In Fling Fighters game, you will get double rewards when you get the flawless victory. For this, you have to avoid all kinds of traps, attack. Don’t lose HP and defeat the enemy. You will get the bonus on your flawless victory. Take advantage of traps – You must keep the attention of your surrounding to avoid getting trapped in steel cages, electrocuted traps or falling off a train. Force your opponent to these traps to get the flawless victory. Simply go back and back, your opponent will follow you, keep jumping to avoid enemy’s attack, throw your weapons and force your opponent into these traps. If your opponent has fallen into a trap, perform back-to-back combo attacks. 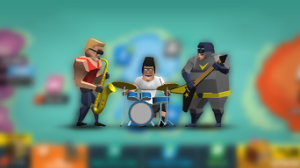 How to get diamonds for free in the Fling Fighters game? Fling Fighters is a super fun game and has many game modes that keep you busy. It is super addictive, challenging game for Android. If you love online multiplayer games, then you should play the Fling Fighters game. Download – Here[Google Play Store].